Robots in space — two great tastes that taste great together. They might go to Mars ahead of the humans to set up facilities, 3-D printed robotic spiders might build spacecraft, and robots might make isolated astronauts less lonely. 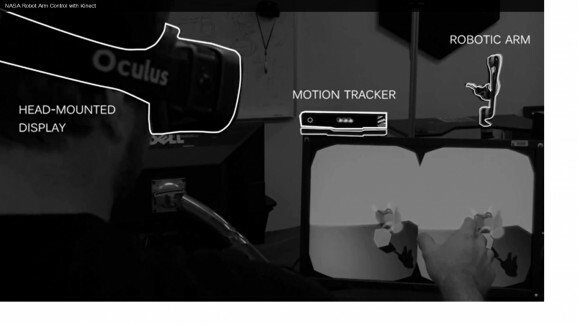 Yet another robotics advancement at NASA pairs humans and robots, allowing humans to control the actions of robotic counterparts using a good ol’ Microsoft Kinect and something called the Oculus Rift. NASA’s Jet Propulsion Laboratory will soon move from controlling a robotic arm to controlling an entire robotic system, namely the Robonaut 2 currently aboard the ISS. While the ISS may not be a home base for as many humans as we may have once thought it would, it is a base for robots and for piloting technologies that could facilitate space exploration. A human-controlled robot would be able to perform difficult tasks (although Gravity wouldn’t have been nearly as compelling had there been a robot or two out there fixing the Hubble). Gaming technology has proven particularly useful to NASA. Last year (and by that I mean 2013 — it still seems a bit strange), NASA used the Oculus Rift headset after playing with one at a Penny Arcade eXpo (PAX) gaming festival. They linked the Rift with a treadmill and used images sent back from Mars by the Curiosity Rover to see what it might be like to walk around the surface of Mars. 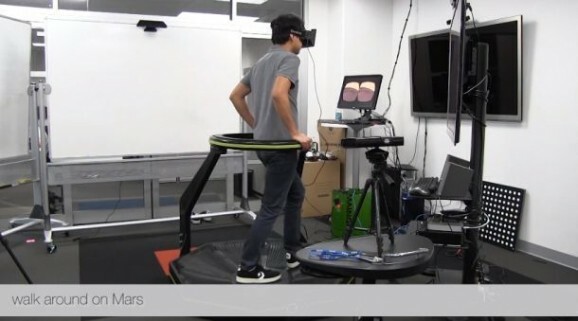 This is a brilliant use of virtual reality gaming systems — who ever said the virtual environment had to be entirely fabricated? I could see such a system in science museums as well, giving visitors the opportunity to take a virtual walk on another planet, much as a visit to Epcot Center can feel like a virtual visit to another part of the world. It also provides a possible way to virtually accompany astronauts or Mars colonists as they explore parts unknown. Video game naysayers clearly haven’t been to space, but could one day get a taste of the cosmos by embracing one of the systems. How I love irony!